Royal PR is usually handled pretty efficiently, so we were surprised to see the time it took for the Duke of Edinburgh to apologise to the woman whose wrist was broken, after the car crash in which they were both involved near the Sandringham estate. 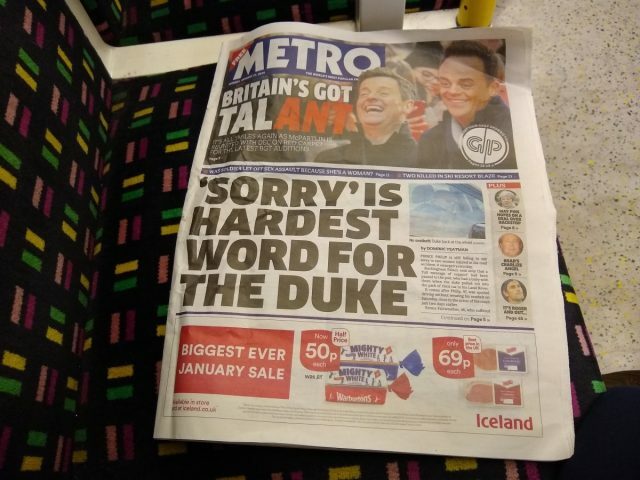 This led to several days of damaging front page headlines in the tabloids along the lines of “Duke refuses to apologise after car crash” – the example pictured was spotted lying about on the tube. It made the Royals look callous, particularly when Prince Philip was seen driving around a day or two afterwards without a seatbelt, as though he really didn’t care two hoots about the law or what anyone else thought. It may be that the Duke and his team were thoughtless, or it may be that they were on the receiving end of legal advice suggesting that they shouldn’t apologise as this would imply accepting liability. As has been demonstrated on many occasions, this advice is usually unhelpful to say the least; it is possible to express sympathy without admitting liability, and any court case would surely be decided on evidence (CCTV was installed in the Royal vehicle) and legal precedent, not on whether someone had said ‘sorry’. Inevitably, after all the pressure, an apology letter was eventually sent after all – but it would have been so much more effective if this had been done straight away. It’s the same with big companies; usually the PR damage of not apologising when damage has been caused is much greater than the potential legal risk of saying sorry. 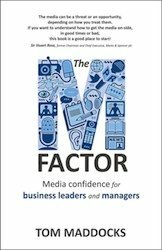 Smart CEOs will tend to balance the advice from their legal counsel to stay quiet, with advice from their PR advisers – and go with the apology anyway, in a timely manner. Words need to be chosen carefully, and the tone is important, as we cover in our crisis media training courses. But expressing sympathy is the very least a company can do, to demonstrate that there are human beings involved here, at least somewhere along the line.